Kiele Sanchez went into the depression after the loss of their upcoming baby :- An American actress Kiele Sanchez has openly spoken about the life after she had lost her baby. Kiele Sanchez and her husband Zach Gilford on 9 October 2015 announced that they had lost their baby. This couple had suffered an unseen pain when Kiele miscarriage and went into the depression after the loss of their upcoming baby. Recently, she wrote a personal column to a famous American website and shared how she healed from that pain and which thing helped her to come out of that challenging phase of her life. Kiele also wrote that how her decision to went back to the Kingdom series helped her healing. She wrote hat” It was very painful time and it was a week ago after I lost my baby and I was just about to start shooting for the next season of Kingdom. Although I was not sure that what I have to go for the season or not”. She also described that ” how typical that situation was and how difficult it was about to consume that pain”. Meanwhile, Kiele also revealed that how the director of the Kingdom series motivated her to joined the next edition of this popular show. She revealed that Byron Balasco who is the creator of the Kingdom serial series called her and made her comfortable and motivated her to join the new season of Kingdom. Also, she informed that she told the Byron to create a story of her situation so that she could implement her real life into the real life. Well, this is really painful time for her but it is looking like she has now learned to move on from this tough phase of her life. And now fans will look to see her in the new season of Kingdom. 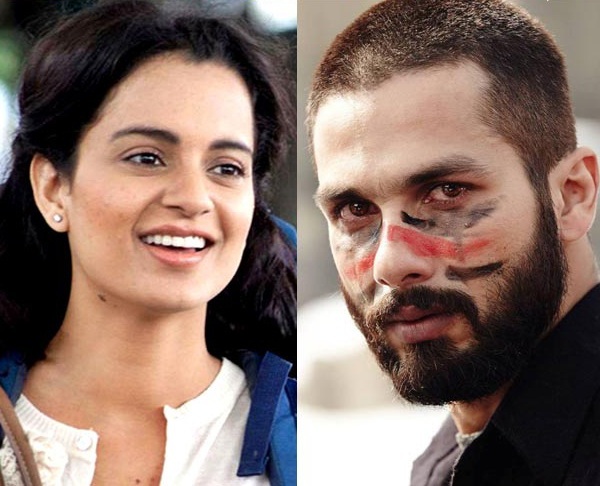 Shahid Kapoor and Kangana Ranaut engaged in cold war?